With the majority of Apple's focus on mobile devices and laptops, they have been largely ignoring their desktop users. In an extremely rare move for the company, Apple has owned up to this mistake and now has plans for a total Mac Pro redesign. Speaking to a small group of reporters including TechCrunch, Phil Schiller, Apple Senior VP of Worldwide Marketing, apologized for what happened with the Mac Pro and stated Apple was "going to come out with something great to replace it." Apple doesn't often share much about their future plans, so this announcement carries extra weight. 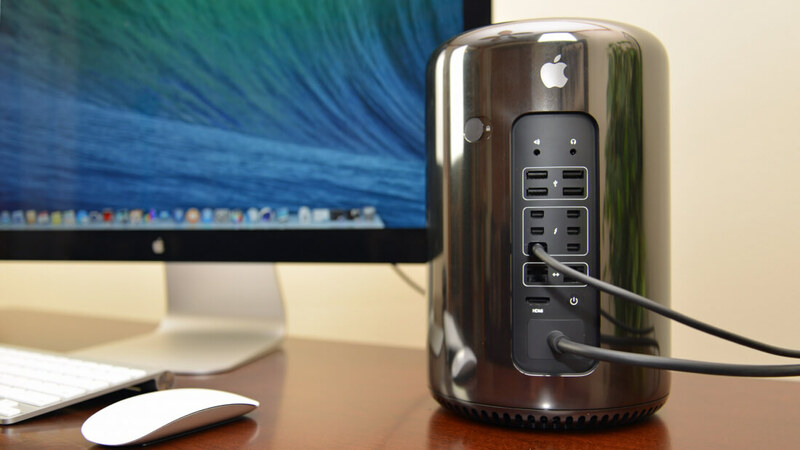 Apple has come to believe that the aggressive industrial design of the 2013 Mac Pro was a mistake and that they designed themselves "into a bit of a thermal corner." The small form factor was a nice idea, but was flawed from the beginning. The Mac Pro was aimed at serious professionals that needed a high performance workstation for content creation and other applications. Many of them didn't care about the size and would gladly have accepted a slightly larger Mac in exchange for better performance. Since everything was crammed into the small form factor, Apple wasn't able to upgrade it very much either. With a Windows PC, creators could upgrade their hardware nearly every month it seemed, but the Mac Pro went 3 years without a single substantial upgrade. While the new modular redesign won't be coming out anytime this year, Apple is refreshing the Mac Pro in the meantime. A 6-core Xeon with 16GB of RAM and two AMD FirePro D500s will cost $3000 and for an additional $1000, you can upgrade to an 8-core processor with dual FirePro D700s. While the Mac desktop line only accounts for about 20% of Apple's computer sales, it's still an important segment of the market for them. These professional users help give the Mac its brand recognition and high end appeal.